Please join us for the OxHS AGM. Nominations are being accepted for next year’s Board members. If anyone wishes to become a board member please contact the OxHS by email at info@oxhs.ca or calling 519-421-1700 so that your name can be added to the nomination list. Our speaker for tonight will be Jack Hedges discussing the Yukon Conference: “The North and the First World War” which he attended in May 2016. The meeting will be held at the Woodstock Museum, NHS at 6:45pm. All are welcome to attend. Don Wilson will present his collection of historical Oxford County postcards. Professional actors will be doing a Vignette of Women that worked at the CNR locomotive repair shop in Stratford as well we will have 5 stories of local women who played a role during the war both here and abroad. Tickets are $25 and include light refreshments, cash bar available. Come and visit the Oxford Historical Society’s booth at the Recreation & Leisure Fair from 1-4pm at Cowan Park. Tonights speaker will be Bob Strawhorn who will speak on Canada’s involvement and the blockade during the US Civil War. 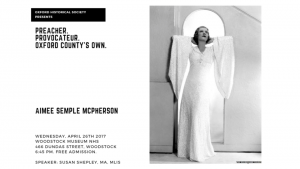 Susan Shepley will present a talk on Aimee McPherson. Murray Coulter will present a talk on the Fenian Raids and Malcolm McKenzie. 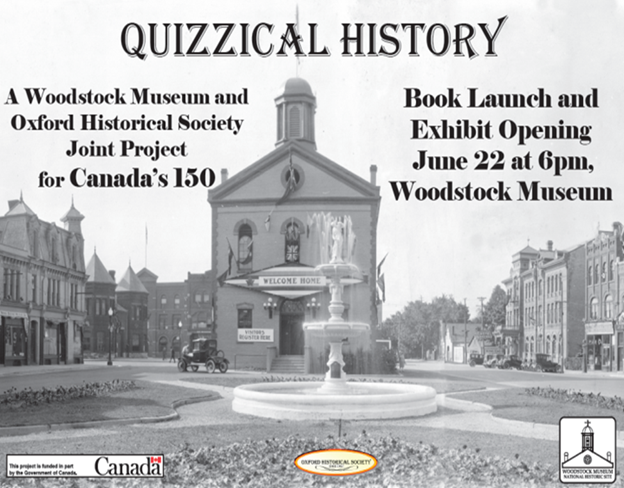 Please join us for the book launch and exhibit opening of Quizzical History at the Woodstock Museum, NHS at 6pm. 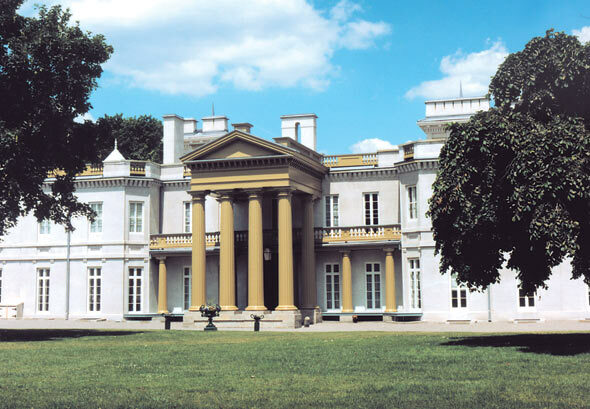 Grand Day Out: Dundurn Castle and Hamilton Military Museum. This year we will be visiting Sir Allen MacNab’s homestead and grounds, along with the Hamilton Military Museum. More information about this event will be posted. Proudly presented by the City of Woodstock. The Oxford Historical Society will be providing tours and information about the Courthouse, the old jail and some of the historic homes surrounding Victoria Park. Volunteers are needed for this event. Please contact the Society to find out how you can help out for this event. More information about this event will be posted as it becomes available. Please join us tonight for our annual joint dinner meeting with the Ontario Genealogical Society, Woodstock Branch. The Dominion of Nature: How Canadians Thought about the Environment at Confederation. What did Canadians think of the environment in 1867? How have the ideas about nature evolve of the last century in a half? Professor MacEachern, from the University of Western Ontario, will present a lively, visual history of our environment in celebration of Canada’s sesquicentennial. Professor MacEachern, teaches at Western Univeristy, and has published many books and papers on Canadian history which emphasiss the importance of the environment and climate as it has shaped our nation. He is a founding director of NiCHE: Network in Canadian History & Environment, and the author of ‘The Associate’ column in University Affairs and the editor of the Canadian History & Environment series at University of Calgary Press. Two or his most recent publications include (with Robert Wardhaugh): Origins Canadian History to Confederation (pictured on the left), and Destinies: Canadian History Since Confederation (information about Prof. MacEachern provided by University of Western Ontario’s website history.uow.ca/people/faculty/maceachern). Our other honorary speaker will be Chris Packman, who will be presenting his new book: Quizzical History. Laurel Beechey will talk about Life in Tillsonburg during WWI. This is the 4th Commemorative talk honouring WWI. Place join us at our booth for this event bringing together local artists and writers. 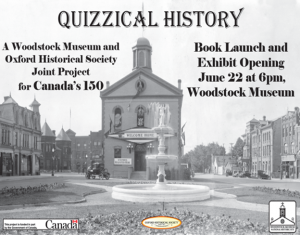 The OxHS will be selling books by our local authors, including Chris Packman’s Quizzical History. The event runs from 10am-4pm on Saturday, Nov. 18th & from noon-4pm on Sunday, Nov. 19th. More information about this event can be found on the Oxford Creative Connections Face Book page. If any member wishes to help out at the booth please email the OxHS at info@oxhs.ca. 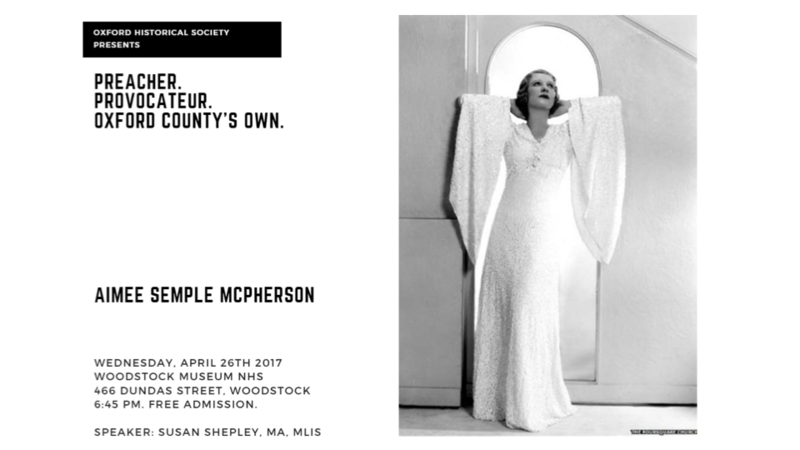 Kerrie Gill, from the Woodstock Museum, NHS will present her collection of historic jelly molds, complete with historic recipes and some tasty samples.